LOOKING FOR ACREAGE TO BUILD YOUR DREAM HOME, LEASE IT OUT FOR FARMING, OR DO SOMETHING A LITTLE DIFFERENT? HERE IS YOUR CHANCE! JUST AROUND 70 ACRES, WITH VARIOUS . . . IDEAL DEVELOPMENT PROPERTY ADJACENT TO I-43 BUSINESS PARK CONTAINS ESA &AMP; WETLANDS CURRENTLY USED AS FARMLAND ON REZONING CONVERSION FEE REQUIRED. BUILD YOU BUSINESS . . .
ROLLING HILLS, AMAZING COUNTRYSIDE VIEWS, CREEK FRONTAGE FOR FUTURE VILLAGE OF HOLMEN DEVELOPMENT.SELLER WILL SELL SMALLER PARCELS OFF TOTAL 248 MOL ACRES. 57 ACRES . . . THE AURORA MARSH HUNT CLUB IS A PREMIER DUCK HUNTING PROPERTY THAT IS UNRIVALED IN WETLAND HABITAT AND REPLETE WITH WATERFOWL. THIS IS TRULY A UNIQUE WISCONSIN HUNTING . . .
GREAT PROPERTY LOCATED RIGHT ON THE FOX RIVER WITH OVER 2000 FEET OF RIVER FRONTAGE! MANY OPTIONS TO BUILD YOUR DREAM HOME AND HAVE YOUR OWN PERSONAL OASIS. OR TAKE . . . ENDLESS OPPORTUNITIES WITH THIS BEAUTIFUL COUNTRY LAND CONVENIENTLY LOCATED JUST MINUTES FROM APPLETON. LAND HAS FRONTAGE ON CTY RD EE (BALLARD RD) AND ALSO CONNECTS TO . . . EXCLUSIVE OPPORTUNITY IN THRIVING COMMUNITY! 72+ ACRES OF LAND IN CITY LIMITS WITH LUCRATIVE DEVELOPMENT OPTIONS. PROPERTY ADJOINS MATURE RESIDENTIAL NEIGHBORHOOD AND . . .
ONE OF A KIND PIECE OF PROPERTY. BOASTING VALLEYS, RIVER VIEW, OAK. 4-5 BUILDABLE LOTS AND BOUNTIFUL WILDLIFE. THE BREATHTAKING TOPOGRAPHY SHADOWING OVER THE . . . LOCATION, LOCATION! HIGH VISIBILITY FROM US HIGHWAY 10. JUST SOUTH OF WAUPACA AND NEXT TO WAUPACA AIRPORT. MAIN RUNWAY JUST STEPS FROM THE PROPERTY. EASY ON AND OFF . . . THE POSSIBILITIES ARE ENDLESS WITH THE BEAUTIFUL PROPERTY! BUILD YOUR DREAM HOME, BUILD YOUR OWN FARMETTE, OR ADD TO YOUR CURRENT FARM. THE BEAUTIFUL BACKDROP IS SURE TO . . .
GREAT WOODED PROPERTY WITH MANY OPTIONS TO BUILD YOUR DREAM HOME AND HAVE YOUR OWN PERSONAL OASIS. OR TAKE ADVANTAGE OF AN AMAZING INVESTMENT OPPORTUNITY WITH . . .
OVER 40 ACRES. PERFECT FOR DEVELOPERS, HORSES OR YOUR OWN WOODED RETREAT. MULTIPLE BUILDING SITES, 5 PONDS AND FENCED IN AREAS. THERE IS A GRAVEL DRIVE OFF OF BEAUMIER, . . . FANTASTIC OPPORTUNITY TO OWN 20.6 PRISTINE WOODED ACRES IN HUDSON AND THE HUDSON SCHOOL DISTRICT. THIS OPEN BUILDER LOT IS EASILY ACCESSED BY PAVED ROADS. PREVIOUS SOIL . . .
PROPERTY WILL BE ON AN ONLINE AUCTION 4/23-5/14. PREVIEW DATES 5/3 FROM 1:00-3:00 AND 5/11 FROM 10:00-12:00. VALUE RANGE PRICING $395,000-$695,000. APPROX 160 ACRES . . .
4.7 PLUS ACRES-APPROX 2.5 ACRE BUILDABLE LAND. THIS PROPERTY IS SOLD WITH NO REPRESENTATION OF THE BUILDING - SOLD AS LAND. THIS HIGH DEMAND LOCATION IN THE CITY OF DE . . .
RARE OPPORTUNITY TO OWN ALL OR A PORTION OF 39 COMPLETELY WOODED ACRES FEATURING 5 PONDS THROUGHOUT! ALONG THE EASTERN BOUNDARY IS A WILDLIFE MANAGEMENT AREA. THIS LAND . 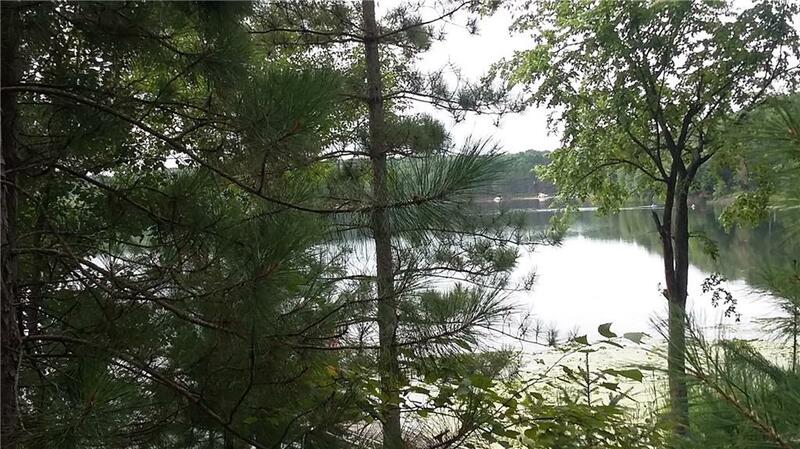 . .
NEW PRICE FOR THIS LAC COURTE OREILLES LOT WITH 123 FEET OF HIGHLY SOUGHT AFTER SANDY BEACH SHORELINE! RUMORED TO HAVE BEEN THE SWIMMING BEACH FOR THE FORMER YMCA CAMP . . . 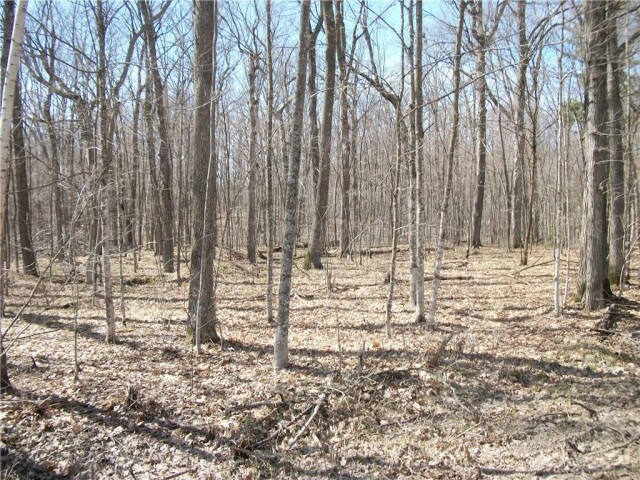 VERY NICE WOODED 80 ACRES WITH GOOD ROAD ACCESS. MIXTURE OF MOSTLY RED AND WHITE PINE AND OAK. CLOSE TO RIVER FALLS. THIS WOULD BE A GREAT SPOT TO BUILD OR USE FOR . . . BUILD YOUR DREAM CABIN/LAKE HOME ON THIS 1.5 ACRE WOODED LOT WITH 97' OF SANDY FRONTAGE WITH LOW ELEVATION ON 1901 AC - SOUGHT AFTER BALSAM LAKE. ALL ON A PRIVATE . . .
GREAT OPPORTUNITY TO BUILD IN HARD TO FIND PRIME ASHWAUBENON LOCATION. THREE LOTS BEING SOLD TOGETHER TOTAL 1.58 ACRES AND IS LOCATED ON THE CORNER OF RIDGE ROAD AND . 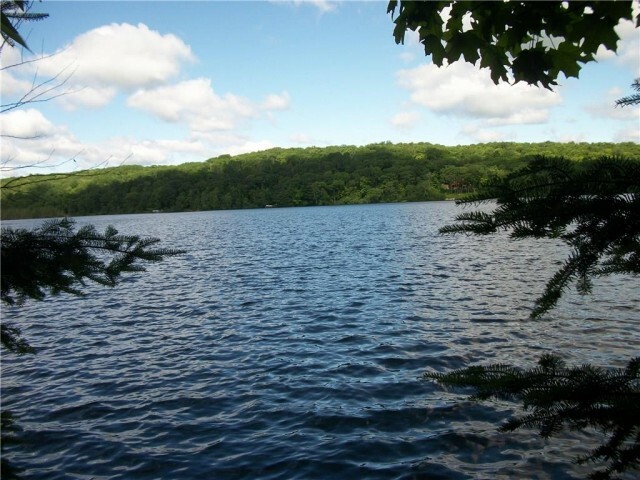 . .
CHAIN O' LAKES 1.5 ACRE BUILD-ABLE LOT OFFERS 100 FEET OF PEACEFUL FRONTAGE ON LIME KILN LAKE.LEVEL LOT IS PART OF THE "AT THE SHORES OF LIME KILN" SUBDIVISION ON THE . 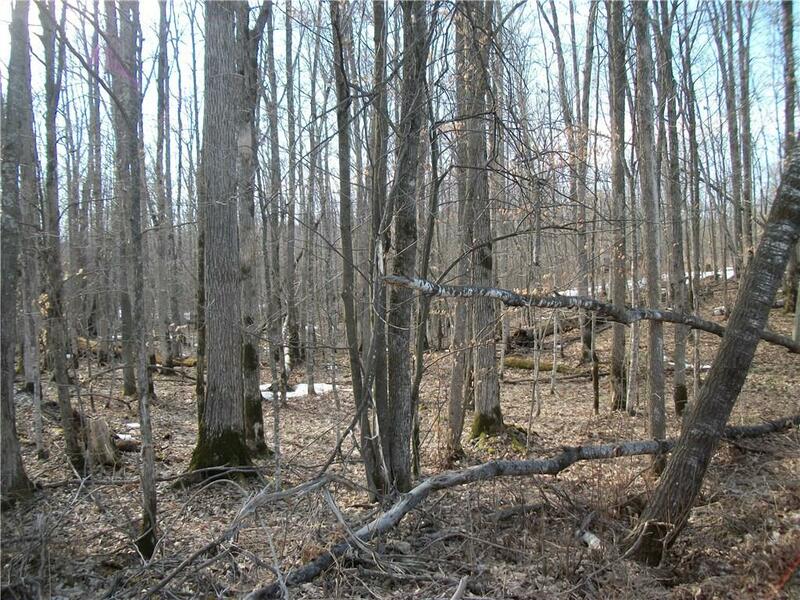 . .
80 ACRE HUNTING PARCEL WITH AMPLE AMOUNTS OF DEER AND TURKEY. DEAD END ROAD PRIVACY. WITHIN 1 HOUR OF GREEN BAY AND THE FOX RIVER VALLEY. NO GOVERNMENT PROGRAMS. NON . . .
PRIME 24.76 ACRE SITE AT THE EDGE OF THE VILLAGE AND WITHIN FEET OF MUNICIPAL SEWER AND WATER. THIS PEACEFUL COUNTRY SETTING HOSTS ENDLESS OPPORTUNITIES! BUILD YOUR . . .
15 ACRES WITH BAY VIEWS. GREAT FOR A NEW HOME, COMPOUND, DEVELOPER BUILDS, TUCKED AWAY CLOSE TO TOWN. Whether you are seeking buildable land for a residential or a business structure, Wisconsin can be a terrific choice for your construction project. While building yourself allows you to retain control over all of the details of your project, this control does come at a price. Often building can be more expensive and there may be hidden pitfalls and costs along the way. Having a plan to secure your piece of buildable property can help to eliminate future nightmares from occurring. Many buyers who decide to build have spent countless hours looking at pre-existing structures, only to find that none of these options truly suit their needs. Brand new homes and business facilities allow the buyer to make decisions to ensure that the details of the property meet their exact specifications. Buyers feels comfortable owning something that is uniquely theirs; unspoiled by previous owners. Buyers often consider that new builds will decrease the maintenance costs of a property, as the new materials and appliances in the structure will be less likely to break and cause costly repairs. New builds, in theory, should also be more energy efficient, provided modern construction techniques are utilized by the contractor. Engaging the services of a realtor will be essential to help you identify the perfect piece of property here in Wisconsin. Real estate professionals often have advance information about properties when they are placed on the market, giving you a jump start above other buyers. A realtor can also provide a comprehensive evaluation of comparable properties in the area, helping to ensure that you are not over-paying for your land. Realtors who are familiar with the local area can help point out the costs and benefits of a particular area. He or she can also help connect you with other professionals who can assist you with the actual building process. LandBin.com can put you in touch with one of their qualified real estate professionals today. When you are examining buildable land, make sure you carefully consider the positive and negative attributes of each and every parcel. Consider where you would likely build your house or business facility. If you are looking to build a business enterprise, consider whether the land you are looking at is flat and cleared of trees. If a residential property building site is what you seek, take a careful look at the views where you might build. Have beautiful scenery to surround your residential property will not only increase your enjoyment of the land, but will help add to the re-sale value of the property, as well. Consider the amenities you wish to add to the property. Will the terrain lend itself to building a pool, a toolshed, a pole barn, an extra garage or a spacious deck? Does the property provide access to a lake if you are interested in recreational watersports or fishing? Is there enough acreage to support hunting or other outdoor activities? If you are building a business facility, are there environmental regulations you need to comply with? Take a look at the neighbors' property. Consider whether their properties are properly maintained and whether that will impact the enjoyment of your property. Don't be afraid to meet the neighbors. Ask them about the area and get their thoughts about your intended building structure. Check out the educational system to see if the schools are up to snuff. Even if you do not have children yourself, the quality of the school systems can and will impact your future re-sale value. Once you identify the property you wish to build on, make sure that you engage any necessary professionals to provide advice along the way. For example, consult a drainage expert to help you consider whether the composition of the land creates any issues for flooding. Talk to the necessary zoning boards to ensure that your intended use of the land comports with its current zoning. Take a look at utility structures that may already be in existence for a particular property. Having access to water, electricity and natural gas lines can be critical to your building project, unless you plan to employ alternative sources of water and energy such as wells and generators. Hire an architect and a contractor who are very familiar with the region in which you intend to build. Make sure you check the references of these individuals. Checking with your local chapter of the Best Business Bureau, or an equivalent organization, to provide you with complaints or complements that past customers may have made regarding your chosen professionals. Even when you are dealing with all new construction, there can still be hidden, latent defects in the property. New plumbing, roofing and electric problems are not unheard of. Hire a licensed property inspector to take a close look at the work your contractor has completed to help verify everything is in good working order. Having an inspection prior to the finishing of the interior of the structure may be beneficial as the inspector will have unfettered access to the inner working of the structure. You can also help yourself avoid having costly repairs in the future by purchasing adequate insurance to protect your interest in the property if something dramatic and unforeseen occurs. Home warranty policies are also beneficial for new builds. Homeowners' insurance policies may not protect against appliance failures in the home; these warranties will help protect against unforeseen expenses resulting from defects in the home. Being involved in every aspect of the building process can help prevent contractors from cutting corners. When you see a problem or an issue with your construction, don't be afraid to ask about it. Ask questions about issues you do not understand. Keep a running total of upgrades you are putting in the structure. There is nothing worse than realizes that the "small" upgrades you have added along the way add up to one monstrous bill at the end of the building process. Knowing that a buyer is monitoring their actions will help prevent contractors from taking advantage of your trust or completing sloppy work. As you consider building on land in Wisconsin, be vigilant about the resale value of the property. While it is important for you to be truly happy with your structure, it may also be important five years from now that you be able to sell your property to the next willing buyer. In summary, carefully develop a plan before you decide to build on a piece of Wisconsin land. Property values here in Wisconsin tend to appreciate well, so it can be a terrific investment, if you play your cards right. Do not assume that other people are going to look out for your interests. Hire independent professionals to help assist you through the process to help you oversee the contractors you hire to build your structure. Don't cut corners now to save a little bit of money; it is likely that cutting a corner now may cause you a costly amount in the future. Wisconsin buildable property is available today, but once you identify the right piece of land, don't hesitate! 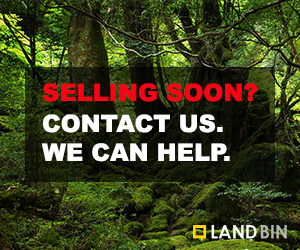 Today's market turns over rapidly and you must act quickly in order to secure your very own buildable land here in Wisconsin.